As one of the most popular travel destinations in the world, Thailand has so many things to offer. This list of Things to Do in Thailand explains to you why it is such a popular country and what things you definitely should not miss when visiting the Land of the Smiles. Thailand is often referred to as The Land of Smiles and is a favourite with travellers due to its laid-back culture and geological position at the heart of the Southeast Asia backpacking trail. Thailand has managed to resist colonisation over the decades and despite an influx of tourism, has retained a strong sense of cultural identity. This is visible in the wide variety of things to do in Thailand, from visiting sparkling temples and world-famous national festivals to eating delicious food and relaxing on pristine beaches. Although the country’s political history has been shaky and is often determined by military coups, Thai people are united by their love of the monarchy and Buddhist faith. Top things to do in Thailand… Thailand has something for everyone, from temples to shopping malls, islands, diving and hiking. However, it’s one of the best countries to visit in Asia if you’re specifically looking for white-sand beaches and vibrant nightlife. In Thailand roughly 95 percent of the population are practicing Buddhists, so the culture is characterised by the smell of incense and the sound of saffron-robed monks chanting at sunset in golden temples. Thai monks are some of the most approachable in Asia and many are happy to discuss their faith with tourists in ‘monk chat sessions’ held at temples across the country. Framed portraits of the King are as common as temples and Thailand has one of the most revered Royal Families in Asia. One of the top things to do in Thailand is visiting The Grand Palace, a collection of elaborate buildings and temples. The Palace was the royal residence for 150 years and the sacred Emerald Buddha Statue is kept there. The Grand Palace in Bangkok – an 18th Century complex of over 100 buildings. Ayutthaya, Sukhothai and Ban Chiang – three of Thailand’s UNESCO World Heritage Sites. Chiang Mai temples – find over 300 temples in the former capital of the Lanna Kingdom. Hill tribe villages – arrange an ethical homestay to experience village life. Are you planning to visit Ayutthaya, our article about Day Trip to Ayutthaya will help you to visit the most beautiful temples and enjoy the best seafood the city has to offer. One of the best things to do in Thailand is enjoy the nightlife, thanks to the country’s laid-back, tourist-friendly vibe. So splash on some neon body paint, grab a cocktail bucket and join thousands of party-goers on Haad Rin beach to dance under the stars at the famous Full Moon party. Remember Leonardo DiCaprio’s slice of paradise in The Beach? Well, it was filmed on Ko Phi Phi Island, where you’ll find everything from pool parties to DJs, modern clubs, live music and reggae bars. Ko Samui is another idyllic island where you can spend your days sunbathing on warm sand and your evenings dancing in modern lounge clubs or beach bars. The Full Moon Party – this takes place every month on the Southern Island of Ko Phangan. Khao San Road – Bangkok’s backpacker street is the ideal place to hang out in the capital. Ko Phi Phi – the island where The Beach was famously filmed is a huge party destination. Rooftop city bars – lots of modern, classy rooftop bars are popping up in large Thai cities. Ko Samui – the main action is in Chaweng, but there are bars spread around the island. Phuket – a famous spot for clubs, bars and shows. For more information check out our Bangkok's crazy nightlife article. Wherever you go in Thailand the smell of spices and peanuts follows and you’re constantly tempted by piles of tropical fruit and colourful 50 Baht smoothies. So get ready for plenty of cheap, spicy street food dinners cooked in front of your eyes by local Thai vendors. One of the most popular things to do in Thailand is taste the country’s most iconic dish, Pad Thai, a non-spicy mix of vegetables and meat with rice noodles, peanuts, lime and green onions. Snack on spring rolls, meat skewers and bags of fruit slices. Rice dishes are staple fare in Thailand and since it’s predominantly Buddhist, it’s one of the best Asian countries to visit for vegetarians. Pad Thai – Thailand’s most popular noodle dish. Khao Soi - a tasty northern-Thai curry. Tom Yum Goong – an iconic sweet and sour Thai shrimp soup. Gang Keow Wan – spicy green curry with creamy coconut milk, vegetables and chicken. Mango Sticky Rice - sweet rice topped with mango covered in coconut cream syrup. 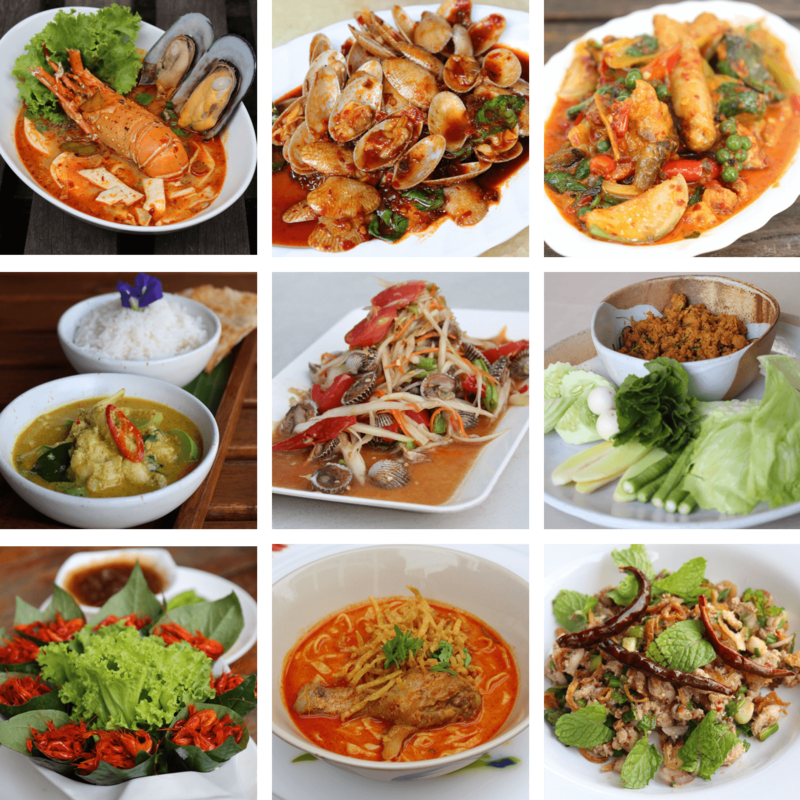 For an extensive guide and introduction to the Thai Cuisine check out this article. Obviously, if you really want to try out the best dishes Thailand has to offer, you should download the TopTravelFoods app. Thailand has over 3,000 kilometres of coastline and dozens of tropical islands to explore. So, perhaps one of the most popular things to do in Thailand is pick a beach that suits your personal taste and settle in for some relaxation. Are you planning a romantic break? Then head to Bottle Beach, a secluded cove of pure white sand, perfect sunsets and turquoise water, or stroll hand-in-hand along Sunrise Beach on Ko Lipe, the southern-most Thai island. For sun-drenched days lounging on the sand and swimming in calm water, pick Ko Kood, one of the lesser-visited Thai islands which has an undiscovered vibe and sleepy, palm-fringed beaches. Railay – only accessible by boat from Krabi, with miles of soft sand and great snorkelling. Bottle Beach on Ko Phangan - discovered by travellers who marked their path to the beach with glass bottles, hence the name. Ko Kood Island – lies just a few hours south of Bangkok. Quiet beaches encircle wild jungle. Sunrise Beach on Ko Lipe Island – the island has three main romantic, unspoilt beaches. Ang Thong National Park – the picture of paradise located near Ko Samui on the Gulf Coast. Ko Phi Phi – an archipelago of islands fringed with long, white-sand beaches. Thailand has some of the most diverse scenery in Asia. One of the most exciting things to do in Thailand is head to the north and trek through forested mountains teeming with wildlife and discover sweeping views of tea plantations and endless mountain peaks. In central Thailand, you’ll find acres of farming countryside, modern cities and mystical, ancient ruins of historical sites. Think you’ve had your fill of Thai temples? Then visit the White Temple, a unique post-modern artwork famous for its sea of hands reaching up from hell, sculpted heads hanging from trees and surreal murals spotted with modern super heroes. Mae Salong Tea Plantations – located near the Burmese border and known for its stunning tea plantations. Ruins of Sukhothai – dates back to the 13th Century when Sukhothai was the capital of Siam. Khao Yai National Park – a UNESCO World Heritage site with miles of beautiful walking trails; regularly voted one of the top things to do in Thailand. The White Temple – a unique post-modern temple designed by the Thai artist Chalemchai Kositpipat. Khao Sok – a southern national park with outstanding natural beauty. Cooking courses – Thailand is one of the best countries to visit if you want to take a cooking course. You’ll get to shop at a local market and learn to cook all your favourite Thai dishes. 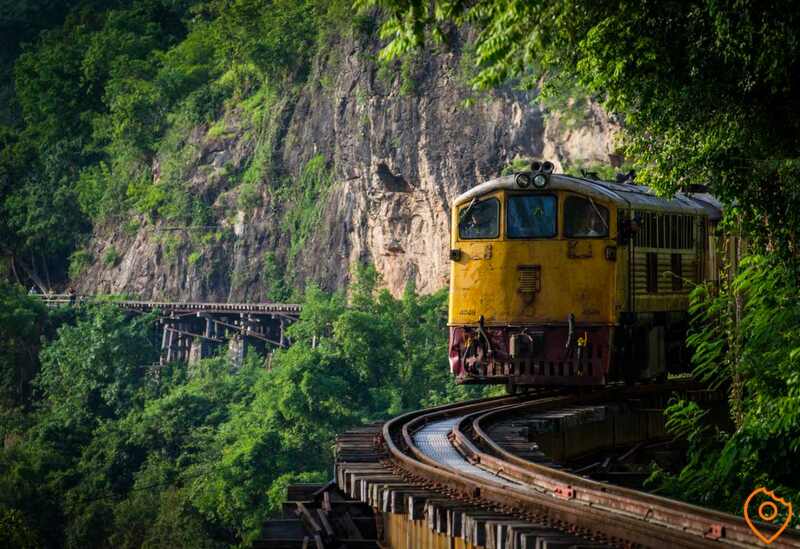 Ride the Death Railway - Thailand’s involvement in the Second World War is best explained by visiting the infamous Death Railway and Bridge over the River Kwai in Kanchanaburi. Jungle trekking – trek through the wild jungles in the north of Thailand. Elephant sanctuaries – visit sanctuaries such as The Elephant Nature Park in Chiang Mai to ethically get up close to these gentle giants. 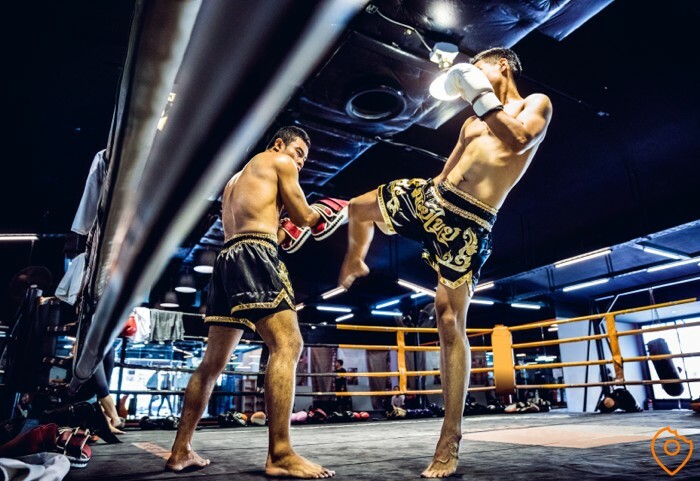 Muay Thai – take some traditional Muay Thai boxing lessons. Diving and snorkelling - are common activities in the southern islands, particularly on Ko Tao, where you can take a PADI diving course for around $200. Meditation centres – there are numerous Buddhist retreats, yoga courses and meditation centres throughout the country. Thai massage – don a pair of comfy pyjamas to enjoy a traditional Thai massage, which is one of the most iconic things to do in Thailand. Songkran, the New Year water festival, takes place in April and is Thailand’s most famous celebration. It’s essentially a giant water fight in the streets, but stems from a Buddhist tradition of cleansing and looking forward to the year ahead. In November, Thai people release thousands of floating baskets lit with candles down waterways, as part of the Loy Krathong festival. For more information about Thai festivals, check out our Thai festival article. Are you planning to visit Thailand during Songkran, check out our Ultimate Songkran Guide.